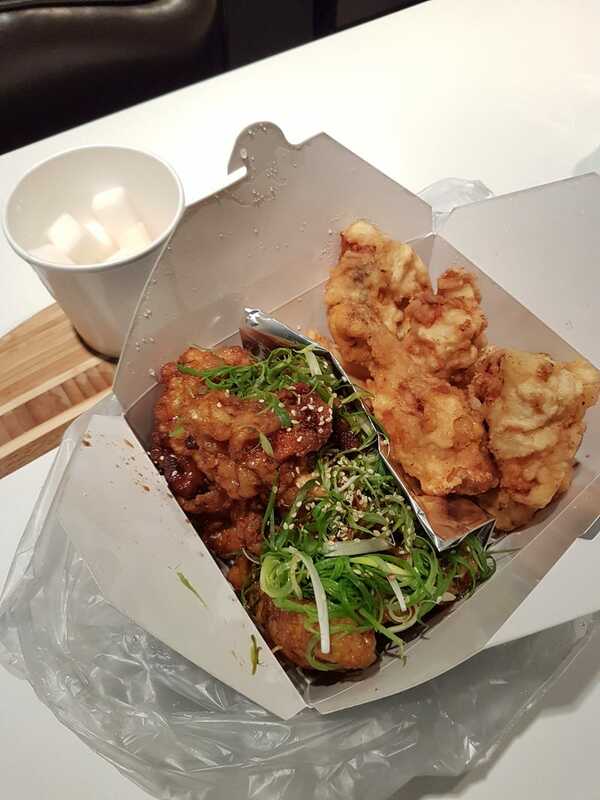 This is Korean fried chicken. Nice, crispy skin, one is half is plain fried chicken, the other half is a garlic-soy sauce with a bunch of green onion bits and sesame seeds. The stuff in that cup is pickled daikon radish which cuts through the fat and savoury garlic/soy with a refreshing hit of acidity. Normally, this would be consumed with Korean beer - I only know of two brands, both of which are swill and whose sole positives are the fact that it contains alcohol and is great with pretty much all Korean food. Since Korean swill isn’t sold around here, I got some Stella instead. I’ve already consumed several pieces at this point and am deliriously happy. This is easily enough chicken for two people, probably three or four if you have smaller appetites. However, this will be dinner, second dinner, and possibly tomorrow’s breakfast.